General cardiologist with special clinical interest in coronary intervention and angioplasty and stenting. Randall trained in Medicine at the University of Tasmania graduating in 1982. He trained in Cardiology in Hobart, Glasgow and Edmonton. 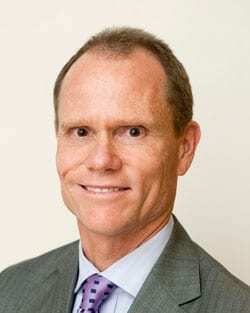 Randall became Director of Coronary Care at Fremantle Hospital in 1992, was Head of Cardiology there from 1999 until 2004 and worked as a visiting Cardiologist at Fremantle until 2013. Randall’s particular interests are in interventional cardiology (angioplasty, stent implantation, intravascular ultrasound, rotational atherectomy, PFO and ASD closure) and in the management of acute coronary syndromes. Randall has appointments at St John of God (Murdoch and Bunbury), and Mount Hospital. He currently consults at Murdoch, Bunbury, and Dunsborough.